In "Ramen Teh," director Eric Khoo celebrates the power of food to transcend boundaries. Ramen Teh is prolific Singaporean filmmaker Eric Khoo’s poignant, heartwarming paean to the enduring charm of food, as well as its sublime potential to evoke memories lurking in the deepest recesses of our minds and unite even the most distant of hearts. The film’s name comes from a fusion of Japanese ramen and bak kut teh (a hearty pork rib soup dish that is Singapore’s answer to comfort food). This experimental culinary venture combines the best of both dishes to commemorate 50 years of diplomatic relations between Singapore and Japan. In case you were wondering, this culinary creation isn’t completely fictional. Director Eric Khoo consulted Keisuke Takeda, the founder of Singapore’s largest ramen chain Ramen Keisuke, on the possibilities of incorporating elements of Singapore’s culinary landscape into the humble yet versatile ramen noodles. This culminated in a bak kut teh ramen variant making a limited run at one of Mr. Takeda’s outlets in Singapore. As we highlight in our full-length review of Ramen Teh, this unique culinary fusion becomes a mechanism to explore themes of family, forgiveness, and reconciliation. In the film, director Khoo captures the vibrant diversity of Singapore’s food scene by peppering the narrative with enticing shots of popular local delicacies, and vignettes of their history, that reflect the Lion City’s melting pot of cultures. In this interview, Director Khoo reflects on the making of Ramen Teh, and shares with Cinema Escapist his musings on food and culture. Your earlier works—e.g. Mee Pok Man, 12 Storeys, My Magic—featured gritty, somber glimpses of Singapore’s working class and their anxieties. Why the transition to more nostalgic, food-centric themes in more recent works, e.g. Wanton Mee, Ramen Teh? As a filmmaker, I’m interested in humanity and all its different facets. I also love food; it’s such a big part of my life. It is inextricably linked to not just our memories, but also to who we are and how we feel. It is tied to our identity. I believe food can be a positive force in leveling and bridging differences. Why did you choose to focus specifically on ramen and bak kut teh as symbolic of Japan and Singapore respectively? Singaporeans are mad about Japanese food, particularly ramen. There are hundreds of ramen shops all over our island. And the Japanese are starting to discover Singaporean local cuisine. Ramen and bak kut teh also happen to be two of my favorite dishes. How would you describe your relationship to food, particularly Singaporean local fare? I love local fare and our hawker centers. Also, I love that we have so many different dishes from different cultures – Chinese, Malay, Eurasian, Indian, Peranakan – because of our colorful cultural heritage. Sweet, sour, salty, spicy food – we have it all. The movie is also a tribute to my mother, who was a great cook. The conception of ramen teh seems to occupy an “in-between” space at the intersection of two different cultures. What inspired you to explore the role of food in reconciling cultures and bridging relationships? I believe food helps us to understand others better, as it has a universal resonance. Food evokes memories and feelings, and when we share food, we are also sharing a part of ourselves. Lingering memories of atrocities committed during the Japanese Occupation appear to have influenced the relationship dynamics between the characters in Ramen Teh. Why did you decide to revisit a piece of Singapore’s wartime history? I visited the Surviving the Japanese Occupation: War and Its Legacies exhibition at the former Ford factory in Singapore and was intrigued by the archival footage and narrative accounts of people who have lived through World War II. I was struck by so many emotions. Growing up, I also heard many stories about the Japanese Occupation. I thought they would make rich material for a movie about hope and reconciliation. How was it like working with an international cast and crew on Ramen Teh? Absolutely wonderful. I had the most talented cast who not only understood the script, but also took it to the next level with their own interpretation of it. They gave so much of themselves and contributed so many ideas on how to make the script better and how to make the lines sound more natural. The crew was incredibly efficient. We wrapped up filming after only 18 days. What were the challenges working on Ramen Teh? How did you overcome them? The heat and humidity… and mosquitoes. I was sweating buckets on set, and mosquitoes always made a beeline for me. I escaped into air-conditioned rooms whenever I could, and applied liberal amounts of mosquito repellent. The film is marketed as Ramen Shop for the US release, instead of Ramen Teh as in earlier releases. Why the different titles? Our sales agent, MK2 Films, felt replacing “teh” with “shop” would work better for a wider Western audience. In Japan, the movie is titled Family Recipe. What are your upcoming plans for the foreseeable future? Do you have other projects in the works? I’m currently the showrunner for HBO Asia’s horror anthology series Folklore. It features eight directors from across Asia, including Japanese director Takumi Saitoh, who directed the Japanese episode. I’m helming the Singapore segment. Ramen Teh (marketed as Ramen Shop) is currently screening across select US theaters. 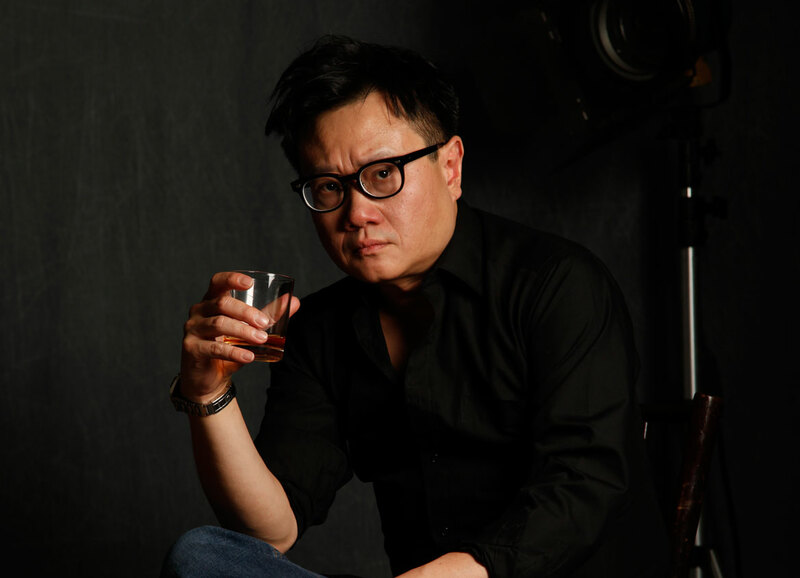 Director Eric Khoo’s responses were edited for clarity and length. Choo Suet Fun is a content writer with a keen interest in film, literature, and languages. Undertaking a minor in Film Studies at university cultivated in her an enduring curiosity towards Asian cinema, and she now spends her free time writing and thinking about film and culture. Her favorite films include In the Mood for Love, Memories of Matsuko, and Ilo Ilo.